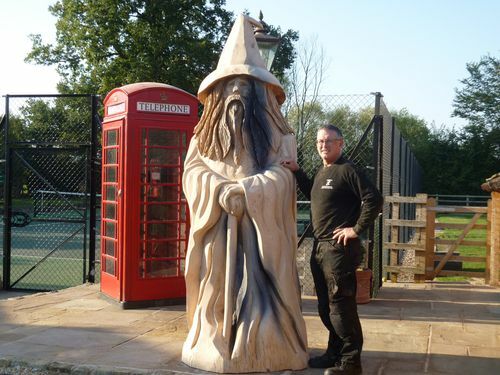 This large wizard was sculpted with chainsaws from a very large log of oak. The black staining is caused by nails in the tree. The Wizard is going to be bleached to remove the staining and left to weather naturally.